Grab Your Free Calendar Designer PRO! 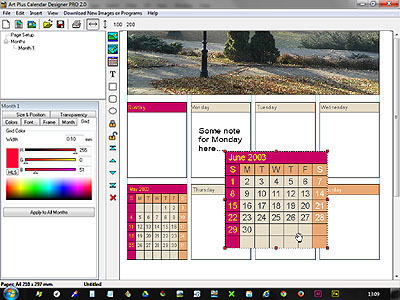 ArtPlus Calendar Designer has been around for more than a decade. It shows some aging, true, but hey, it still works! New version is in the works but unfortunately wont be finished in time for this calendar season... Sad, we know. That's why we decided to offer you a current version as a gift! We hope you'll like the program despite it's age. It's still fairly simple to create layouts with one or more months, adjust colors, add images and... well, do what designers do! just play around and consult extensive Help when needed. We're sure you'll create your first calendars within minutes! 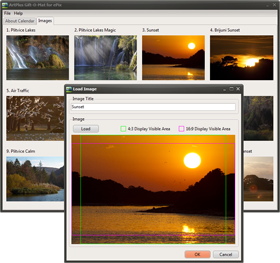 As of release 2.0 Art Plus Calendar Designer offers improved designing functionality like object transparency and background options, locking objects, improved copy paste with multiple paste option and so on. Holiday and general calendar settings are more flexible allowing you to set a different color for holidays to separate them from weekends better, changing the first day of the week and set your own names for weekdays or months. 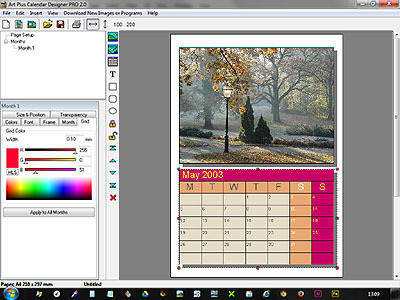 Also, it is now possible to export calendar designs to JPG or BMP files for further editing or using a professional printing service. 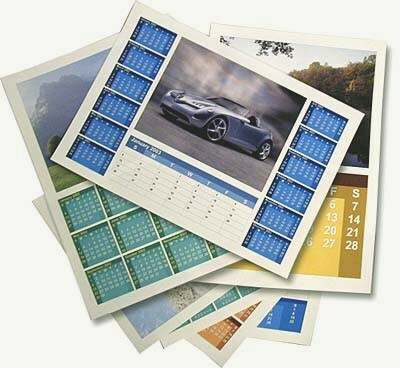 insert your own images to numerous predefined layouts or create and print your own calendar designs.